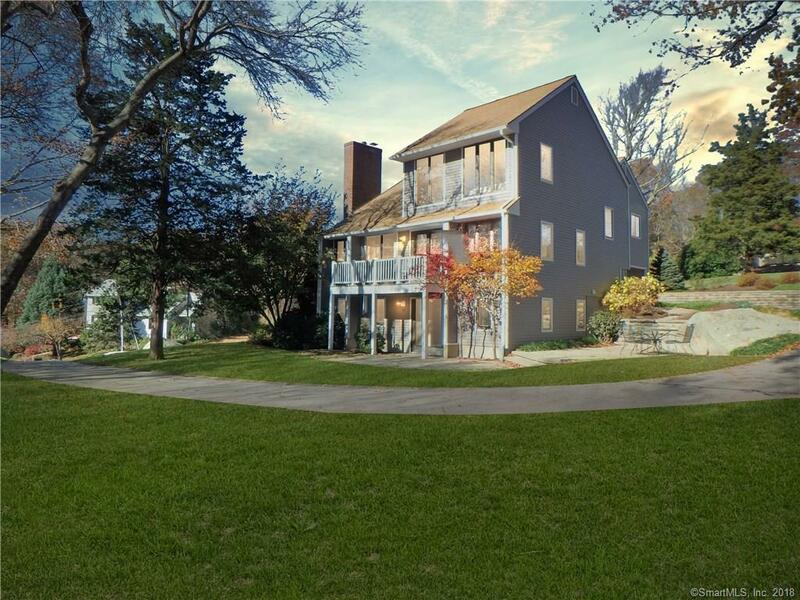 20 Rose Ridge Court, Stonington, CT.| MLS# 170142316 | Eastern Connecticut - Homes for Sale...from Mystic to Moosup & More ! From the Shore to the Country ! This beautiful 3 BR contemporary-style home is situated at the end of a quiet cul-de-sac in Castle Hill, walking distance to downtown Westerly & near Misquamicut Beaches. Nestled on .55 acres of professionally landscaped grounds, youâll enjoy the privacy this location offers! An open floor plan welcomes you. The sun-filled living room has a vaulted ceiling, FP, wood floor & balcony. Plenty of cabinets & counter top space in the kitchen, and a breakfast bar for quick meals. An informal dining area is located between the open kitchen & living room. Formal dining room is currently being used as a den but can easily be the perfect spot for special occasion dinners. A laundry closet is located on the main level, and a half bath rounds off the main floor. Upstairs youâll find 3 BRs & 2 full baths. An expansive MBR suite boasts 2 closets, a private bath and balcony to enjoy stunning sunsets. The other 2 BRs are generously sized with ample closets. The finished walk-out basement is perfect for entertaining with a wet bar, half bath, wood stove & direct access to the beautiful stone patio area. Updated AZEK balconies made from high performance long-lasting materials are located off the master suite, family room & dining room. The 2 car garage & wood shed provide plenty of additional storage. This 2,275 SF home also offers 600+- SF of living space in the walk out basement. The seller has thoughtfully provided a 1-year home warranty for the buyer. This spectacular home is a must see!